With every new year comes new vehicle models that aim to impress. That is definitely the case with the new 2016 Toyota Camry. Although this midsize sedan was recently redesigned and updated, the 2016 model year does come with some impressive changes and updates. I encourage you to come take one for a test drive with me, “The Kinny Landrum” at Toyota of Bowling Green. There is a reason it has been one of the most popular cars on the road for decades and it is only a matter of time before you fall head over wheels for it too. There was absolutely no reason that Toyota had to update the newest model of the Camry, but they did, and I bet you will love what they’ve done! Now, the base level trim of the Camry offers a vivid Multi Informational display, and trims above the LE will come standard with 7-inch touchscreen interface and Toyota Entune Audio Plus. 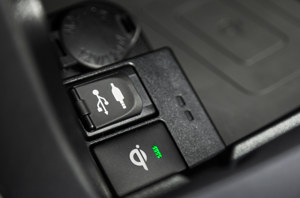 In addition, it is time to get cozy on your road trips, as the 2016 Camry has also redesigned the interior of the SE to include a better, more durable seat fabric that also provides more comfort for the journey. If you love options, then Toyota has yet again impressed. 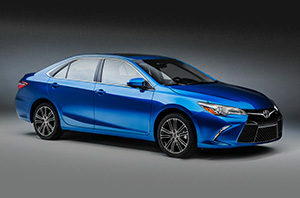 Now the LE trim level can be upgraded to include 16-inch multispoke alloy wheels, and SE trims can opt for Toyota Entune Audio Plus with Connected Navigation App. Just more ways that Toyota is making it harder to be beaten by the competition! Whether you decide the new upgrades and options are for you or not, I am confident that you will love adding a Toyota Camry to your vehicle arsenal. This sedan has been one of the most popular, and one of the safest on the road for years. If you’re ready to enjoy quality materials, the latest and greatest technology, and comfort for the whole family, I encourage you to come see me, “The Kinny Landrum” aka “Your Bowling Green Car Guy” at Toyota of Bowling Green and experience for yourself what’s new on the 2016 Camry. Your only regret will be not stopping by sooner!